San José, Costa Rica (Hilda Miranda – Newsroom). The loud noise resembling that of an explosion was heard by dozens of people around midnight yesterday hitherto lacks any explanation by officialdom. 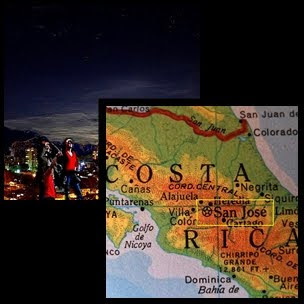 Neither the National Meteorological Institute (IMN) nor the OVISCORI (Costa Rican Vulcanology Observatory) have any records of a phenomenon that could have been responsible for the loud reverberations. According to hundreds on the social networks, a powerful report -- lasting more than five minutes – was heard around midnight yesterday. Reports from readers of La Nación on Facebook suggest that the reverberations were heard in parts of San José and in more remote communities such as Turrialba, San Ramon, Coronado, Heredia, Escazú and others. According to the IMN, the atmosphere’s behavior in recent hours was normal. “Experts checked the satellite signal and no record of any anomalous situation was found,” stated Mario Sánchez, the agency’s press officer. Similarly, the Observatorio Vulcanologico y Sismológico de Costa Rica (OVSICORI) informed that there was no record of any strong tremor that could have given rise to the loud buzzing. Another version that made the rounds held that the explosions were from festivities in the town of Zapote, but the parties in charge of the celebrations dismissed this conjecture. “The fireworks were normal. We are aware of that noise, but we don’t believe that it has anything to do with the festivities at Zapote, because people heard it in places far from [the community],” said Rafael Arias, an advisor to the San José city hall. Arias further noted that the closing cannonade was at approximately 9 p.m., but that unauthorized parties discharged a series of “bomblets” around 12 a.m. “But it wasn’t a loud sound either,” he noted. Some readers also stated that lights in the sky accompanied the loud noise.